Through thorough testing, toddlers chose the Best Bottom Training Pant because it looks and feels like REAL underwear. The soft and stretchy cotton outer with wick-resistant trim makes it easy for them to pull up and down on their own. The waterproof zone on the inner protects from accidents and allows you to snap out the wet insert and snap a new one in, reusing the training pant and saving you even more money. Chosen by toddlers for the look and feel of real underwear. Easy for kids to pull up and down. 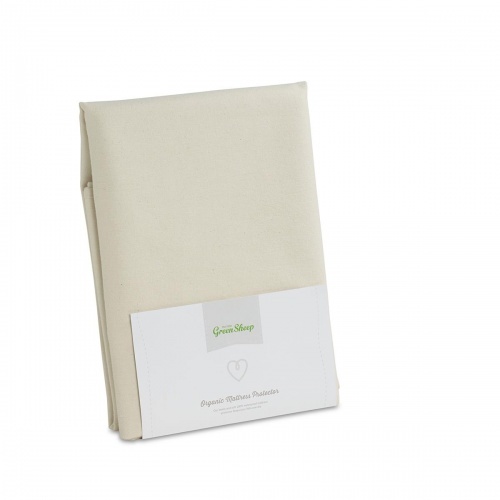 Snap-in FeelWET inserts are soft and absorbent, leaving just enough moisture for kids to feel when they need a change. With cute prints on each insert - kids want to avoid accidents just as much as you. 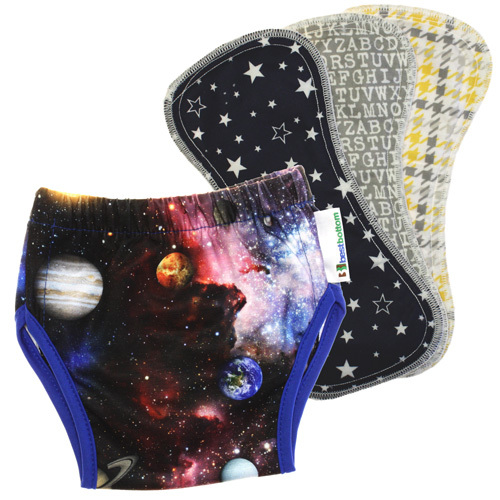 If you have been using cloth nappies already, you can ease right into potty training by snapping your medium Best Bottom Nappy Inserts in your Best Bottom Training Pants. This allows for a substantial amount of absorbency for early learning. Once your little one is getting the hang of it, transition them to your small Best Bottom Diaper Inserts to catch their smaller accidents. Side snapping training pants were also called out by toddlers as nappies. For the occasional #2 accident, simply have your toddler stand while you slip the trainer to their ankles and carefully snap out the soiled insert. Your Best Bottom Training Pants and FeelWET™ Inserts can be washed on warm and tumble dried on low. No fabric softeners, dryer sheets or additives such as bleach, vinegar, baking soda, washing soda, borax, oxyclean, etc. should be used. After years of experience, Nicki the owner of Nicki's Diapers created a new diaper taking the pros of all the different nappy systems and eliminated the cons. This resulted in the Best cloth diaper system available - trimmest fitting and highly absorbent! To help reduce early confusion and that overwhelmed feeling when researching cloth nappies, the Best Bottom nappy has simplified cloth diapering while making one of the most economical systems. The Best Bottom one size diapering system is not a pocket nappy, not an all in one, not a fitted diaper, and not a prefold system... it is the best of all types! There are also other optional inserts to accommodate for all situations. The Overnight option makes using cloth at night with no leaks a breeze! Each Stay Dry Overnight insert consists of 6 layers of super thirsty microfiber made to fit with any Regular insert option of the same size. 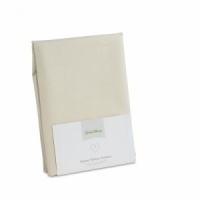 Hemp/Organic Cotton Overnight inserts are also available. Snap in the Overnight option and snap a Regular insert on top - you choose if you want to use the Stay Dry option or Hemp/Organic Cotton option.